Charlie's Carpet Cleaning is concerned about our environment and the impact of harmful carpet cleaning chemicals used in your home and office. Le Charlie's Carpet Cleaning clean your home or office with our combined eco-friendly, non-toxic cleaning products and our proven green cleaning methods. Non-toxic alternatives to standard carpet cleaning products are labeled as "green" cleaning agents. "green" carpet cleaning products do not contain butyloxy ethanol, also known as buytl cellosolve. By using environmentally safe chemicals to clean carpets, the cleaner and others at the business or residence are not exposed to toxic chemicals. 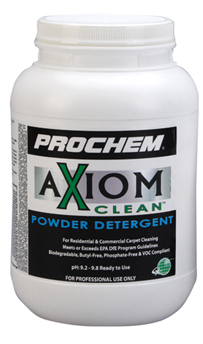 The "Green" cleaning agents are also safe for the cleaner to handle. It is important for the cleaners to follow the Institute of Inspection, cleaning and restoration certification standards when using "green" products. Dry carpet cleaning uses butyloxy ethanol, also known as buytl cellosolve. The active ingredient, butyl, is known to damage the central nervous system, liver and kidneys in humans. Dry carpet cleaning can also include perchloroethylene, which can cause liver and kidney damage as well as dizziness, nausea, and fatigue. Children and pets who spend extended time on the floor have the greatest exposure and the greatest risk. Our main focus remains the protection of our employees, clients and their employees. To provide our clients with the best quality green carpet cleaning services, we have selected an established line of green cleaning products as well as testing and purchasing new products. Since carpet cleaning product companies have shifted their business to provide more environmentally friendly carpet cleaning products, it is now much easier for us to provide healthier carpet cleaning products and environmental responsible cleaning practices.